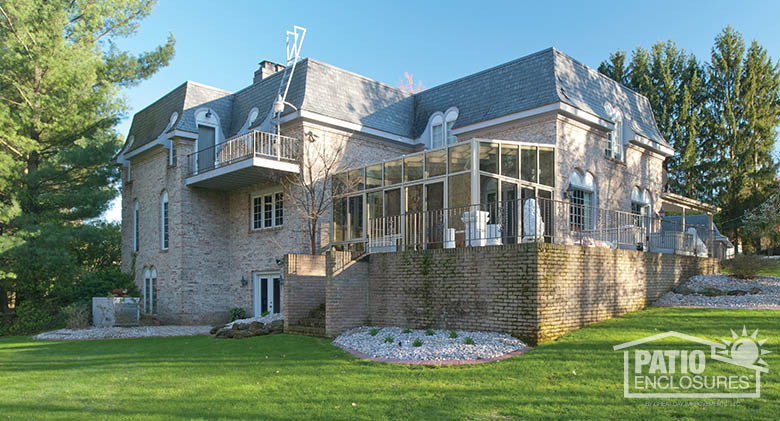 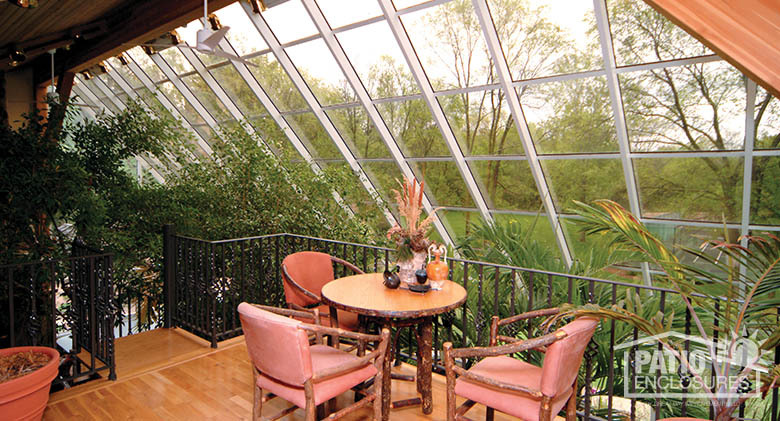 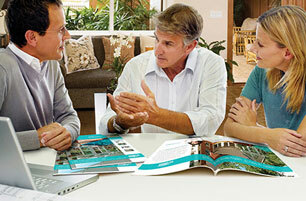 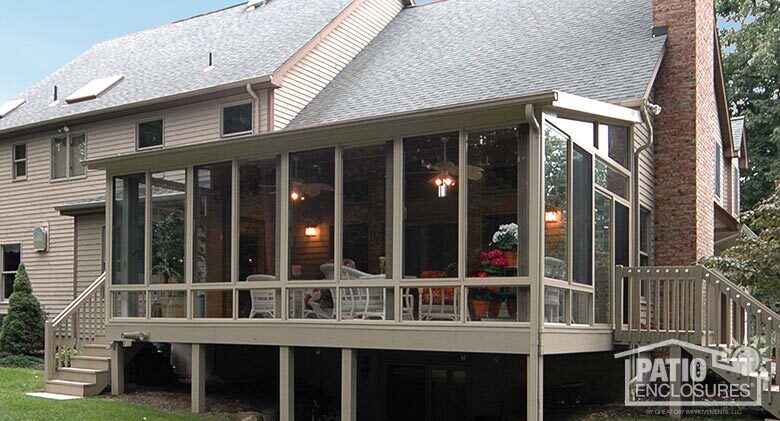 ​Our single-slope roof sunrooms are one of our most popular and economical roofing options. 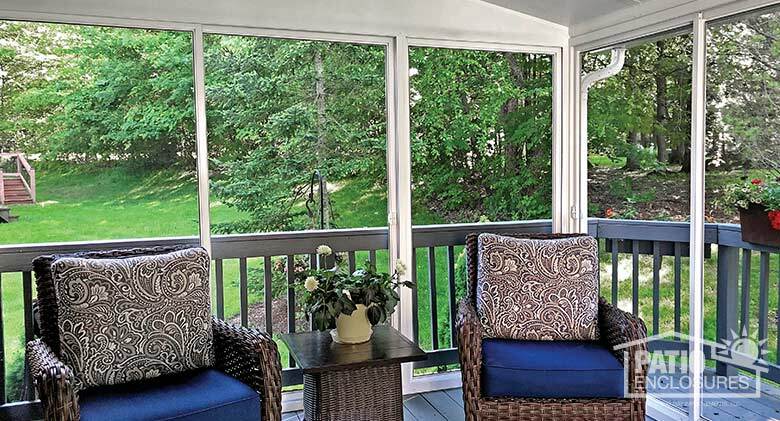 These sunrooms provide maximum strength; stability and insulation to give you piece of mind and keep you comfortable throughout the year. 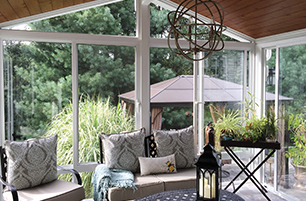 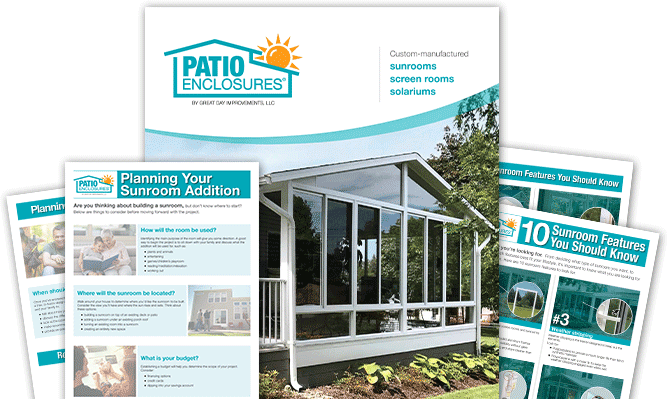 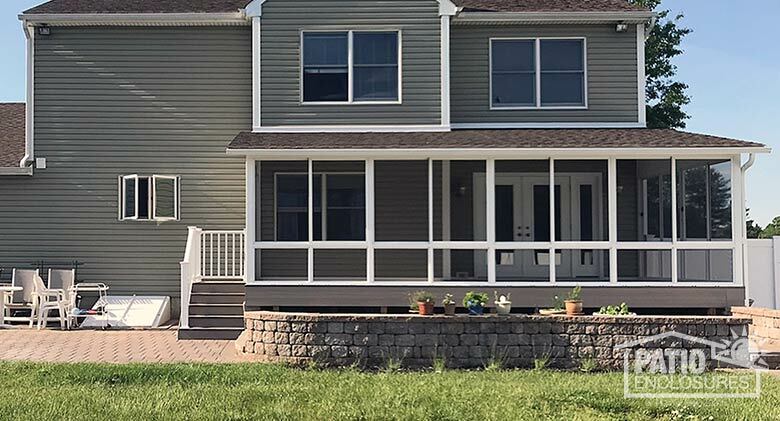 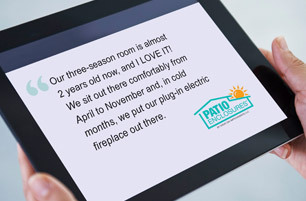 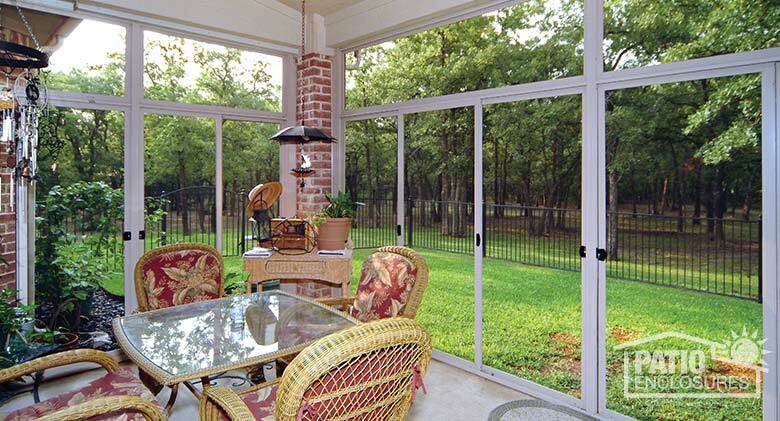 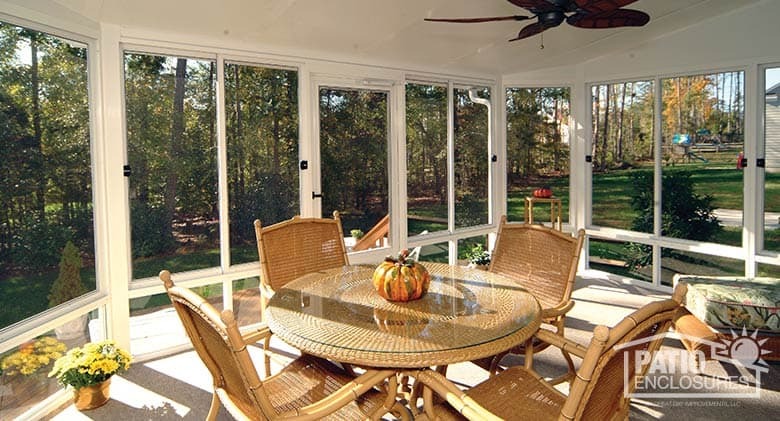 Relax and enjoy the outdoors every day, while bringing the natural beauty of the outdoors inside with a Patio Enclosures Sunroom. 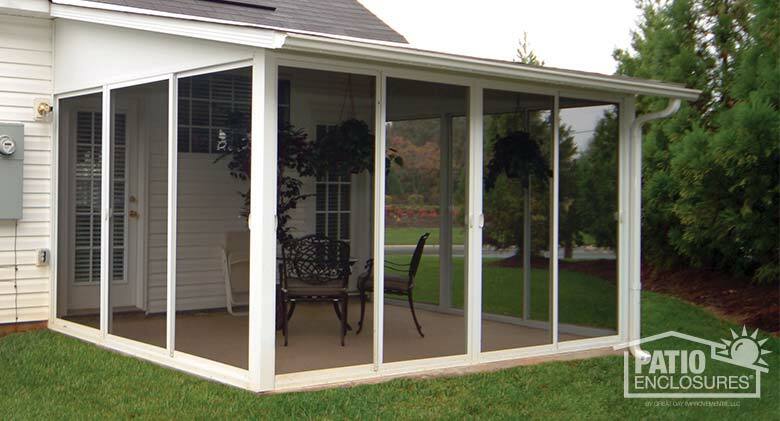 Three Season Sunroom White aluminum frame with single-slope roof. 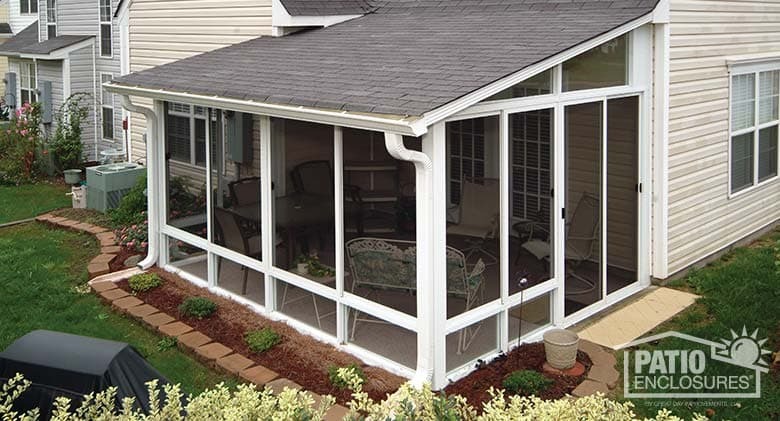 Three Season SunroomSandstone aluminum frame with single-slope roof. 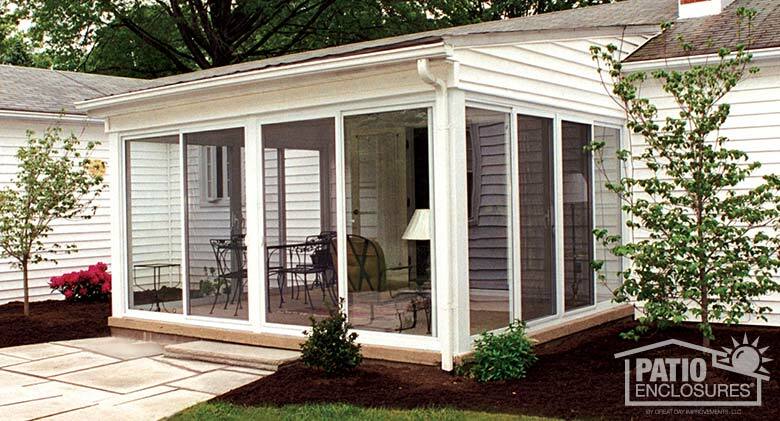 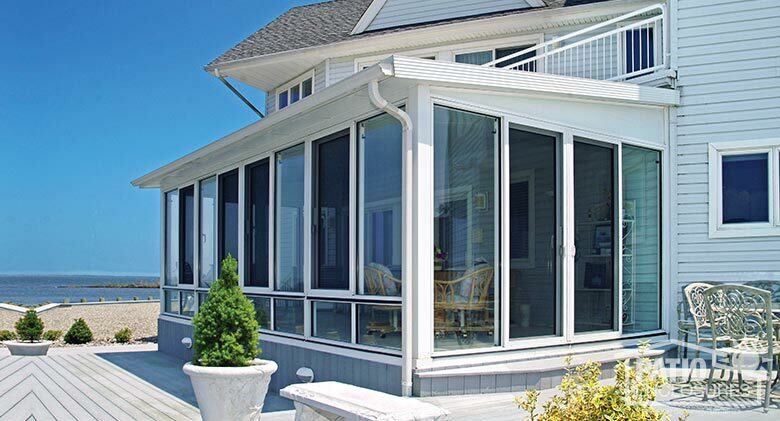 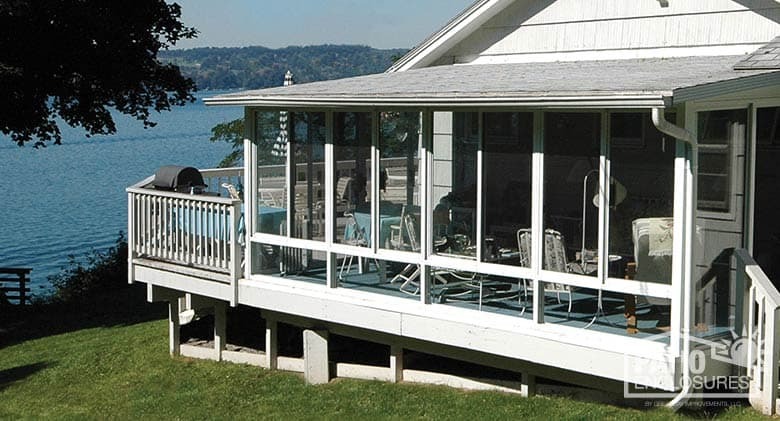 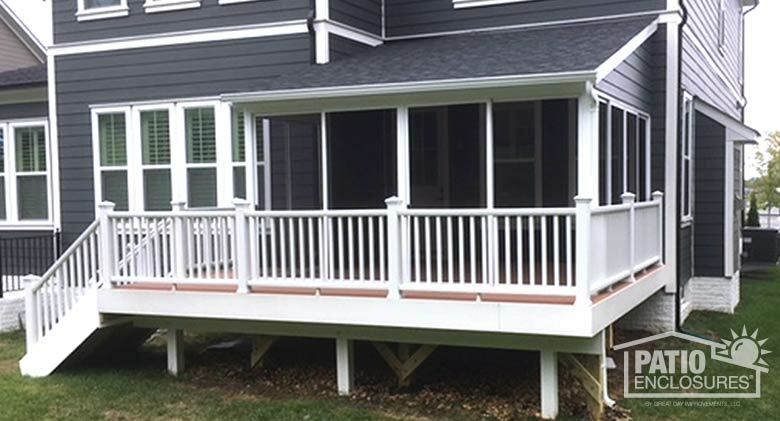 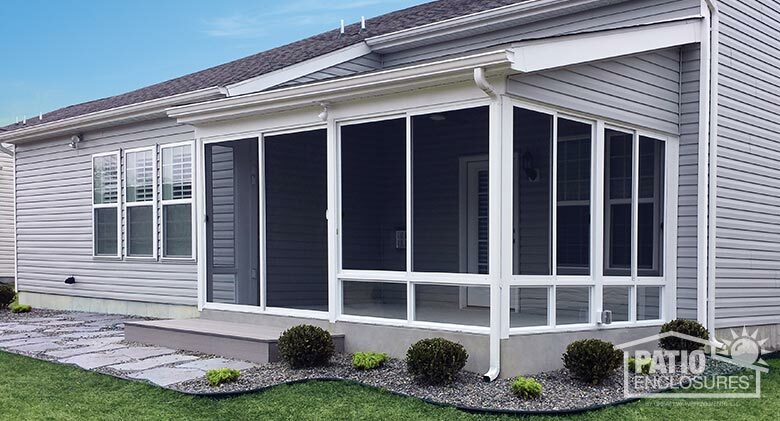 Three Season Sunroom White aluminum frame with single-slope roof and deck. 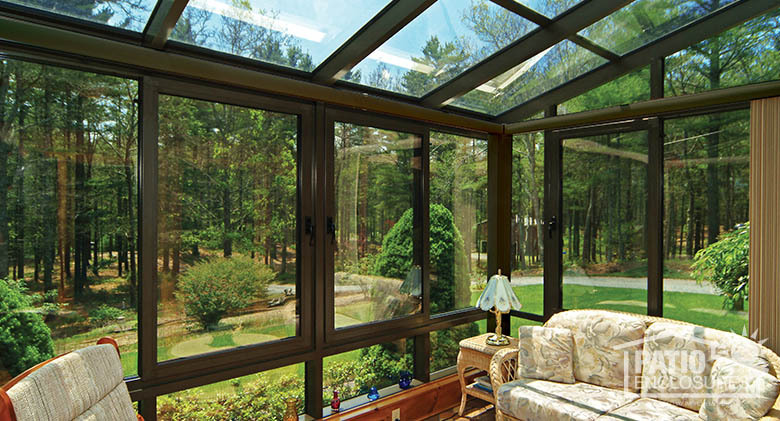 Four Season Sunroom Four Season aluminum sunroom in sandstone with shingled single-slope roof and solid knee wall. 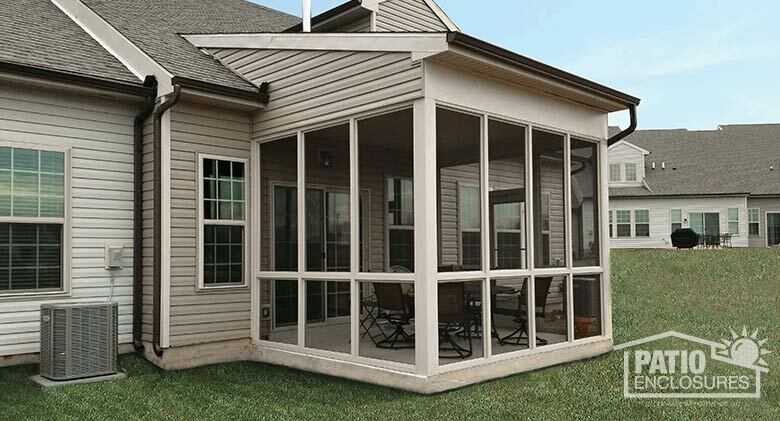 Four Season Sunroom Four Season aluminum sunroom in sandstone with shingled, single-slope roof, glass wings and glass knee wall. 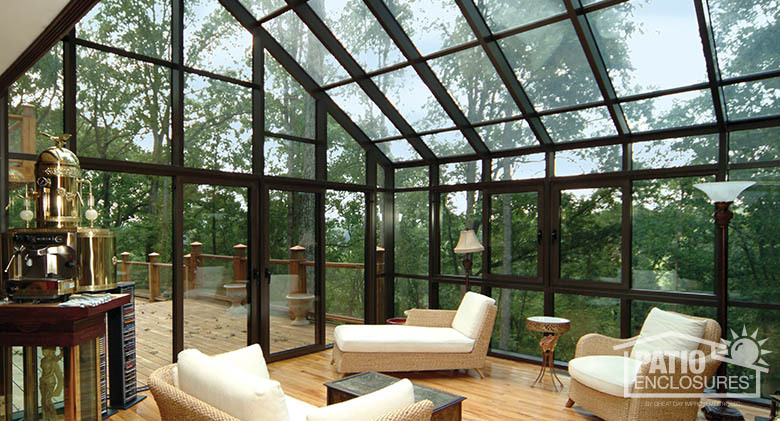 Azuria tint on glass. 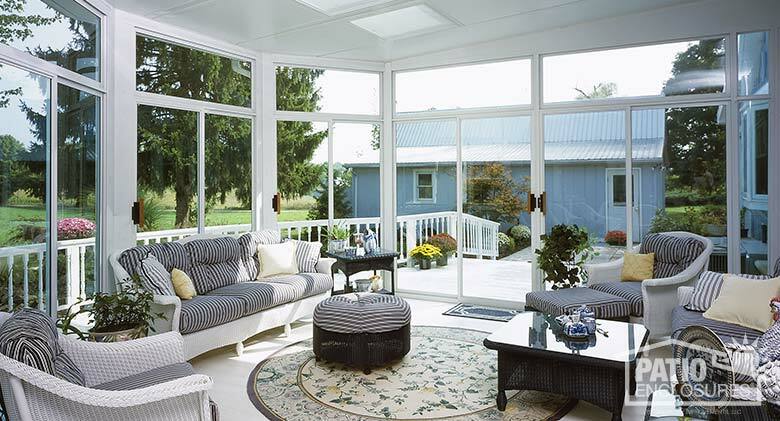 Four Season Sunroom Built on the second level, this white Four Season aluminum sunroom has a single-slope roof and features glass wings, glass knee wall and transoms. 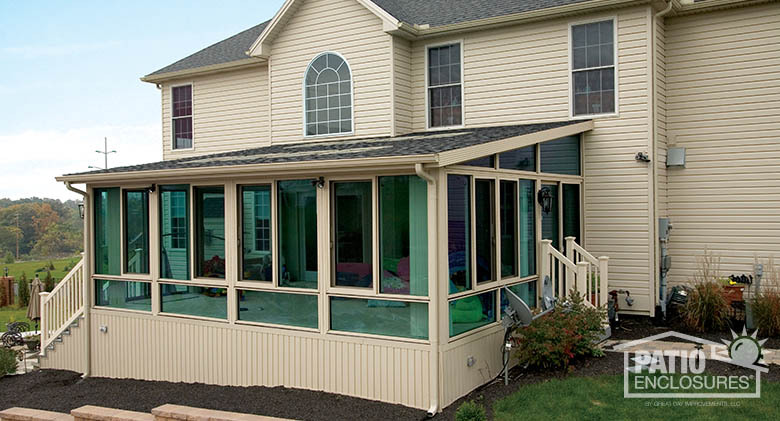 Four Season Sunroom Four Season vinyl sunroom in sandstone with glass wings in single-slope roof and glass knee wall. 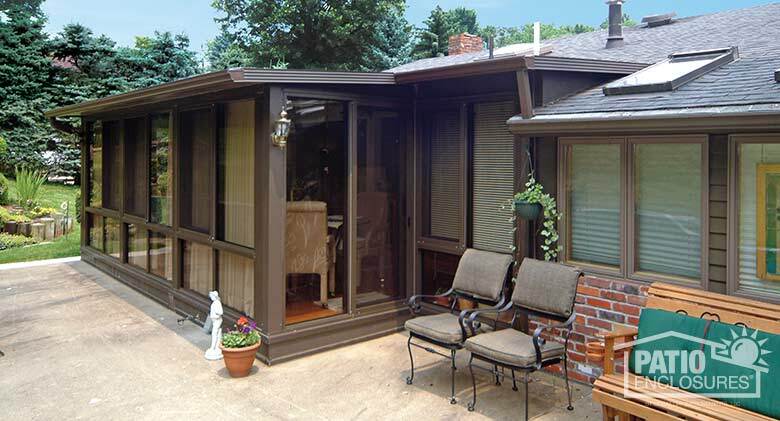 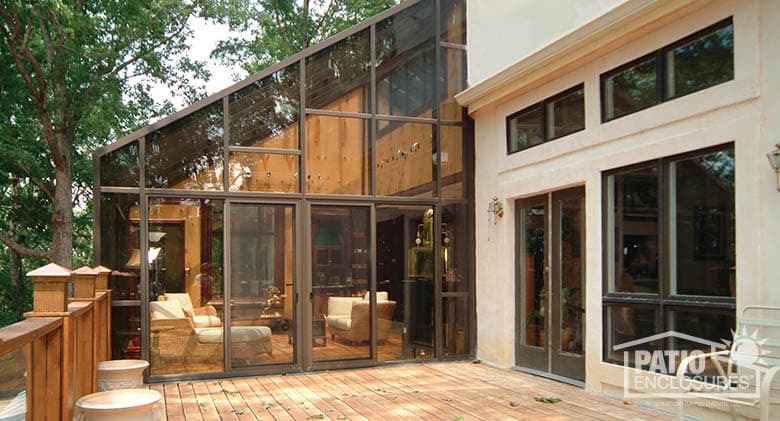 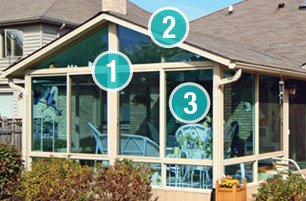 All Season Sunroom Bronze aluminum frame with single-slope roof and a glass knee wall. 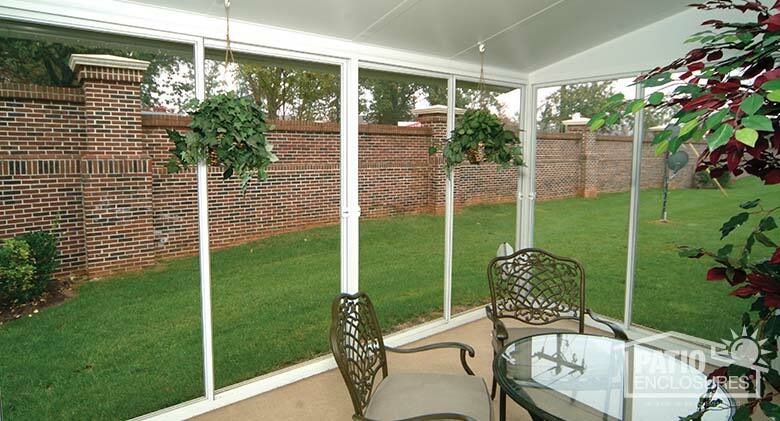 Screen Room White aluminum frame with single-slope roof. 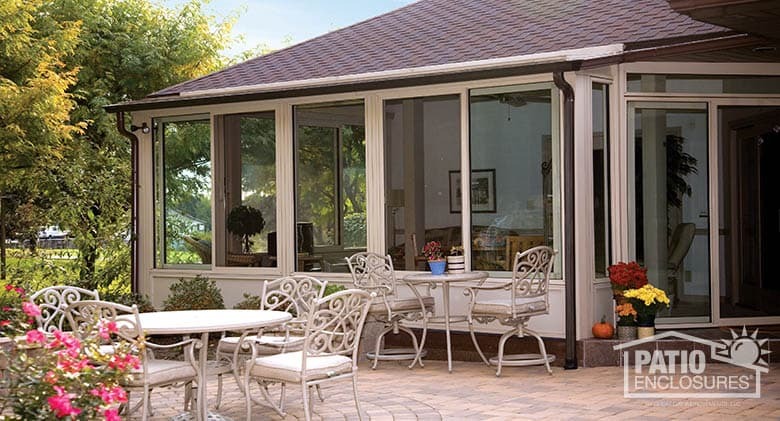 Screen Room Sandstone aluminum frame with single-slope roof. 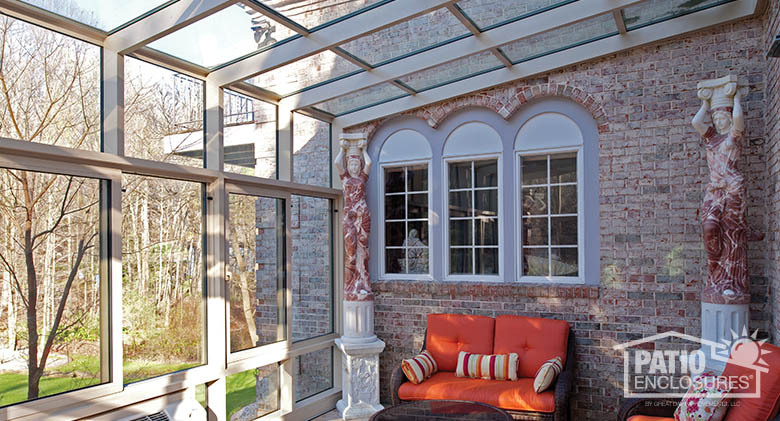 Screen Room Sandstone aluminum frame with custom single-slope roof. 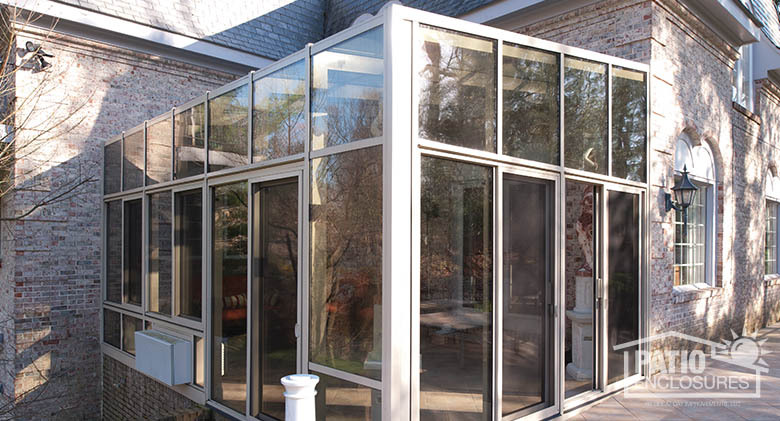 Screen Room Bronze aluminum frame with single-slope roof. 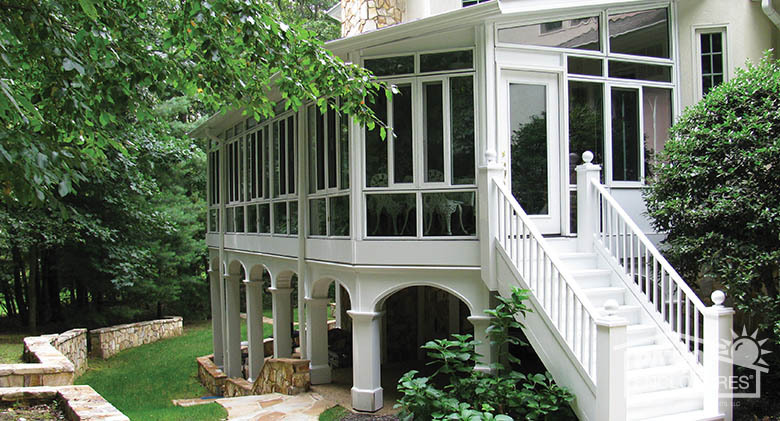 Screen Room Custom screen room with traditional wood single-slope roof. 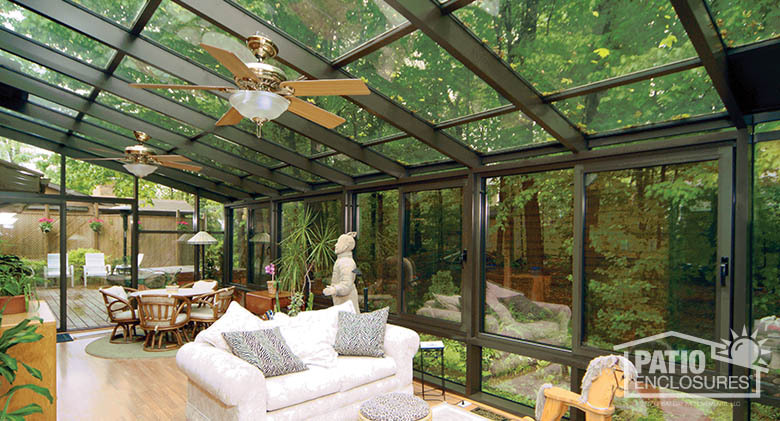 Straight Eave Solarium Bronze frame with single-slope glass roof. 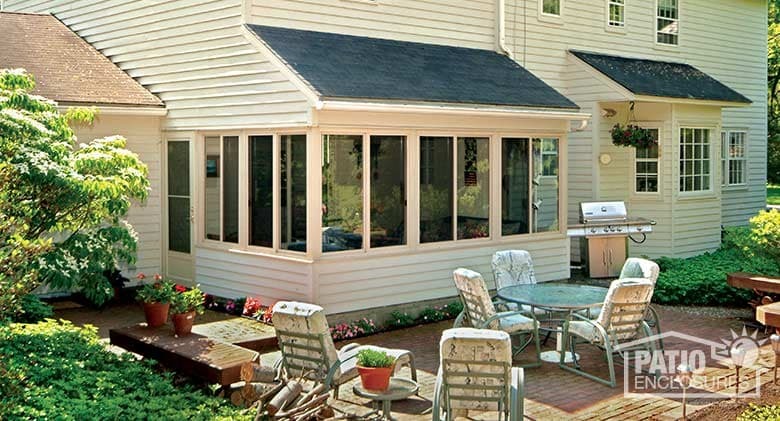 Straight Eave Solarium Sandstone frame with single-slope glass roof. 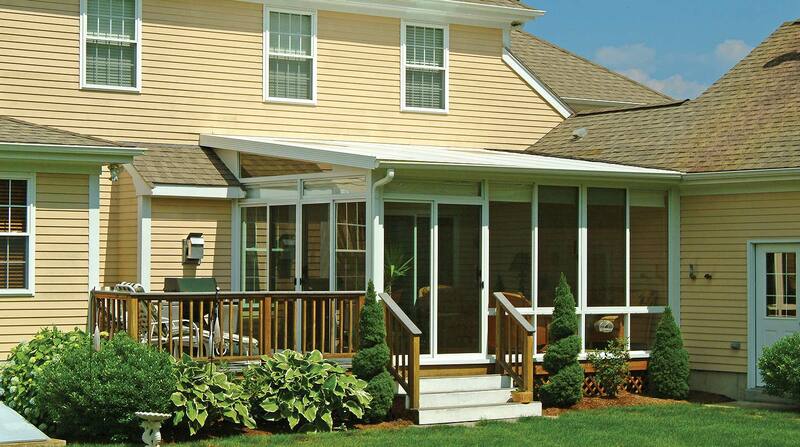 Straight Eave Solarium White frame with extreme pitch single-slope glass roof. 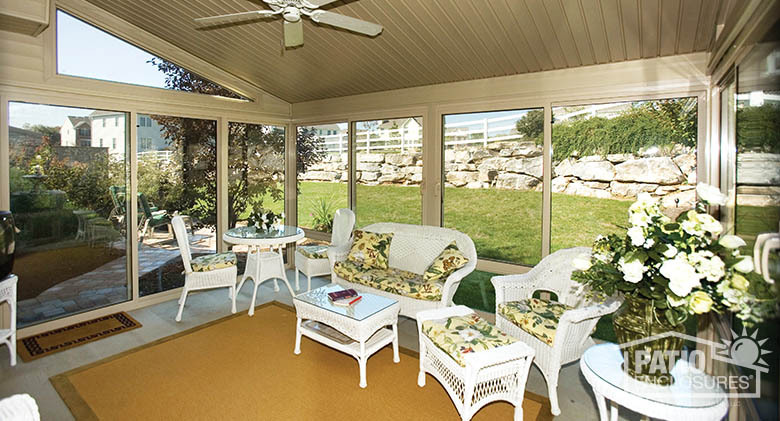 Traditional Sunroom Traditional sunroom with shingled, single-slope roof.